It all started back in 2000. I had just finished my first year at music college and had decided to take a break. A lot of my friends had gone off travelling during their gap year and I was left wondering whether I should have done the same. Feeling sorry for myself, I decided that I had to have a change of scene if I was to get over her. I pocketed my student loan from the previous year and bought a one-way ticket to Paris. At that point I spoke virtually no French, or any other language for that matter. I'd done GCSE French at school, but it wasn't much help. I certainly couldn't strike up a casual conversation with someone. Looking back on it now, I don't know why I wasn't more apprehensive or nervous about the trip. I guess when you're 19 things just don't matter so much! I spent 6 months overall in Paris, working night shift at reception in a youth hostel. My French got good pretty quickly, mostly because it had to – I was dealing with customers every day. During the long nights at the hostel I met travellers from all over the world and knew then and there that I wanted to be able to communicate with people in their own language as much as possible. I went back to college in London. I started hanging round and playing music with a lot of Spanish people, who were always lots of fun. I couldn't speak much, but I was up for learning. After learning French, it wasn't all that hard to pick things up. I become close friends with one guy in particular and for the next two years I spoke more Spanish than English from day to day. When some Brazilians started hanging around in our circles, my next great passion began, one that endures to this day. I fell head over heels in love with the people, the culture and the music. I set about learning Portuguese, hanging out with my new friends, playing music, learning songs, and fitting in lots of language exchanges. After a couple of trips to Brazil in the semester breaks my Portuguese soon became very strong. After college, I went travelling in South America, spending 6 months in Brazil and 4 months in Argentina. 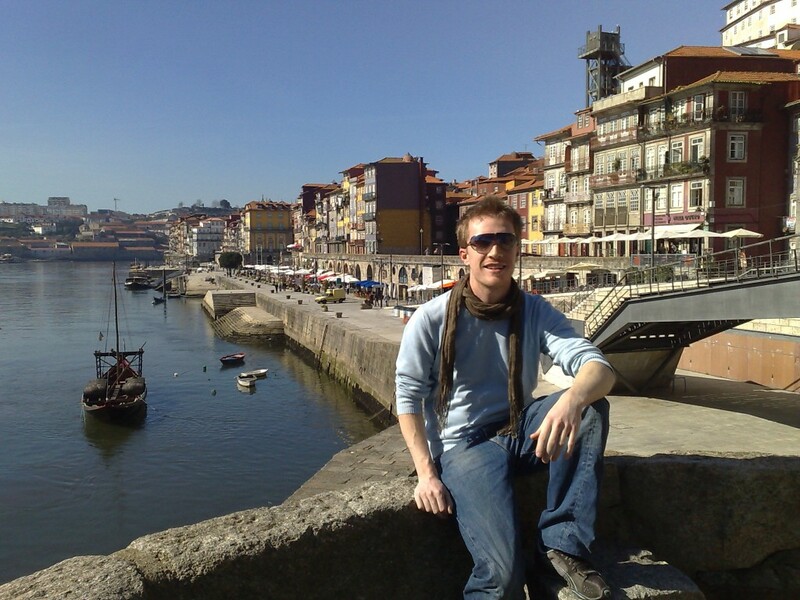 Spanish and Portuguese weren't new to me, but living there for that time was the perfect opportunity to consolidate and deepen my knowledge of the languages. I returned to London and spent the next four years doing all kinds of things, playing music, starting up businesses and, of course, taking advantage of the cultural scene in London to maintain my French, Spanish and Portuguese. When the travelling bug returned, Japan was the destination of choice. I moved to Japan and spent three and a half years working in Tokyo. Japanese was my first non-Romance language and it proved to be tough. I didn't learn all that much in the first year or two. I'm not sure why, really, but I think I was too busy acclimatising to life in Tokyo and building a life for myself. At the 1.5-year mark, I started getting frustrated with my lack of attention to the language and went on a Japanese learning mission. My level shot up. I feel that this experience of struggling with Japanese and striving to find ways of learning and progressing really marked a turning point for me. It didn't happen naturally, like with my earlier experiences. I had to really do the work myself and seek out the right conditions in which I could learn and improve. The lessons I learnt from those years really inform a lot of what I write about now. I left Japan in 2012 and moved to Doha, Qatar, where I am at the time of writing. I've not been particularly motivated to learn Arabic, especially since English is the lingua-franca in Qatar (80% of the population are ex-pats), but I did take classes and learn to read and write. Strangely enough, whilst in Doha, I started to develop a real love for Cantonese. I'd been to Hong Kong a couple of times, and really got into Hong Kong cinema, and the “fire” had risen inside me, so I set about learning. Learning Cantonese in Doha has been another defining learning experience for me. Living in an unfamiliar country and learning a completely unrelated language has really forced me to pull out all the stops, looking closely at how I learnt all my other languages, trying to retrospectively learn lessons from those experiences, whilst also figuring out new ways to motivate myself and learn in relative isolation. This brings me to the present day! In 2016, I went on a two-week project to learn Thai in Bangkok, Thailand. Over the course of the two weeks, I recorded daily videos to document my progress. You can view the entire playlist here on my YouTube channel, so you can see how I learnt Thai every step of the way – from complete beginner with ZERO knowledge in the language! For many years, I've been fascinated by the German language, and really wanted to learn it. In order not to spread myself too thin, I've resisted until recently. But the bug finally got me, and I spent a few weeks learning last year. I didn't get very far, but it was a fun way to spend an April in London! Click here to read my reflections on learning German. After returning to London, I started meeting a lot of Italians – they're everywhere here! Slowly, I began to feel the urge to learn Italian so I could talk with all the people I meet. I decided to learn Italian, not as a fly-by-night project, but as a real way to enrich my life here in London. Taking the story-based method that I'd been developing over the last few years, I decided to use the method to learn Italian. Right now, I'm back in London, enjoying the rich variety of culture and opportunities to practise languages that exists here! 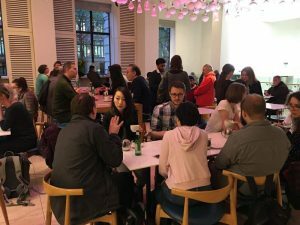 I run a community of language learning enthusiasts here in London called Languages of London – I'd love to see you at one of our meetups! On the blog you're reading right now, you get practical tips for learning languages… based on all my experience and experiments over the years!